If you are looking to preserve food for a long time, simple refrigeration just won’t cut it. You need to get a vacuum sealer. Vacuum sealers are ideal for those who like to buy foodstuff in bulk as well as those who are into sous vide cooking. We have researched far and wide to bring you the Top 10 Best Vacuum Sealer list. How do vacuum sealers work? Before sealing the contents in a plastic film package, a vacuum sealer will remove air, thus reducing the amount of oxygen in contact with the food. This prevents the growth of bacteria or fungi so that the food stays uncontaminated for long periods. Also, vacuum sealing prevents the usual cases of freezer burn. Even though they are commonly used for storage of dry foods such as cereals and smoked fish, vacuum sealers are also perfect for fresh foods such as vegetables and meat, because vacuum sealing prevents bacterial growth. Our first-choice in the best vacuum sealer selection is the FoodSaver V4440. Not only does it come from a renowned vacuum sealer manufacturer, but it has become quite a favorite in many households. As you would expect of any vacuum sealer, the V4440 removes air from the packaging, creating an airtight seal that locks in freshness. There are many things to love about this appliance. First, sealing is a walk in the park. It has fully automatic bag detection and airtight sealing. Also, if you want to seal zipper bags, canisters or containers, an inbuilt retractable handheld sealer comes in handy. Therefore, you don’t need to buy any extra attachments. It is one of the few that can work as a handheld and a standard vacuum sealer. Another amazing feature is rapid marinate mode. Instead of spending hour marinating food, you can use the 2-in-1 FoodSaver V4440. Within minutes, your food can be ready to cook. You no longer need to worry about starting the cooking process hours in advance. Cleaning up is also easy, thanks to its removable tray. Also, there is a toggle switch that helps you set up the sealer when you want to store wet or dry food respectively. Click here to see the current price of the FoodSaver V4440 2-in-1 vacuum sealer. The main reason we have labeled it high-end is that it costs more than most vacuum sealers. However, if you can afford it, you’ll never look back. It is the kind of appliance that will take your vacuum sealing to the next level. First, it has a heavy-duty oil pump with numerous advantages. Not only can it handle larger loads, the sealer can be run continuously because it doesn’t need any cool-down time before sealing the next bag. Also, oil-pump sealers are known to be quieter than their dry-pump competitors. Secondly, the VP215 applies a double-seal, which is twice as strong as that of most vacuum sealers. Therefore, you can package fluids and fluid-rich foods like meat, soup, stew, and marinades for a long long time. Food shelf-life is extended up to 5 times longer. Whereas its capacity and features are ideal for small restaurants, the VacMaster VP215 will certainly meet and exceed your expectations at home. It is also perfect for hunters and fishermen. Click here to see the latest price of the VacMaster VP215. It is no wonder that a FoodSaver vacuum sealer has been picked as the best affordable one. FoodSaver has made its name a powerhouse in this kitchen appliances category, with numerous products becoming best sellers. The V2244 amazed us with its array of features and remarkable capability at its modest price. As expected, its vacuum sealing is effective and should see you increase the shelf-life of your food to up to 5 times (in the fridge). It has a CrushFree Instant Seal feature that helps you immediately stop the sealing process, especially when dealing with delicate foodstuff. During sous vide cooking, it is recommended that you use FoodSaver bags and rolls in order to get consistent results. These bags and rolls are BPA-free, safe to use, and have been designed to withstand boiling temperatures. The FoodSaver V2244 also comes with a starter kit. Various items included in the starter kit are an accessory hose, three 1-quart heat seal bags, two 1-gallon heat seal bags, and a heat seal roll (11 inches by 10 feet). Lastly, with the accessory hose vacuum, you can seal fresh containers, and marinate food in minutes. This is a great improvement, considering that sometimes it takes hours to marinate food the conventional way. Click here to see the current price of the FoodSaver Vacuum Sealer V2244. Another vacuum sealer that will help you save money is the NutriChef Vacuum Sealer. You get to save money because you can preserve food for a long time (up to 5 times the normal duration); food that would have otherwise ended up the trash can. With its amazing features and moderate price, I’m sure you are going to get a lot of bang for your buck. First, it is very easy to use. Once plugged in, just use the ‘one-touch’ operation to automatically vacuum and seal the food in the plastic bag. There are two sealing modes depending on the type of food you want to package (dry or with moisture). Then, in terms of design, this sleek vacuum sealer fits in comfortably with your other kitchen appliances to complement your décor efforts. Also, it is stain resistant and very easy to clean after use – a simple wipe with a piece of cloth will do. This ensures that it remains attractive while at the same time ensuring that your food is protected from bacteria and other disease-causing germs. The NutriChef Vacuum Sealer also comes with a full starter kit. The starter kit includes an air suction hose, five vacuum bags (7.8 inches by 11.8 inches), a wine stopper cork, and an extra-long vacuum bag roll (7.8 inches by 79 inches). The vacuum bags made of durable material and are reusable and waterproof. To find out the current price of the NutriChef Vacuum Sealer, click here. NESCO has specialized in various kitchen items, selling all over the world. The main products produced by NESCO include dehydrators, roaster ovens, food slicers, toasters, pressure cookers and vacuum sealers among many others. The company has produced a number of vacuum sealers, but our favorite is the VS-02. It has the capacity to give you true value for money. It is very easy to use, thanks to its automatic shut-off capability and one-touch operation. If you want to seal some food in a bag, just place it in the vacuum chamber, close and press the Vacuum/Seal button for automatic vacuum sealing. Once done, you simply press unlock buttons on either side of the sealer and remove the package. However, if you are dealing with delicate food, just press the Seal Only button. This will prevent vacuuming which would crush whatever it is you were packing for storage. There is an optional Extended function ideal for moist foodstuff and tighter sealing. If you want to stop the process at any time, simply press the Cancel button. Lastly, you get a starter kit with the NESCO VS-02. It includes two sealer rolls (8.66 inches by 9.8 feet), five sealer bags (8.66 inches by 11.8 inches), and another five sealer bags (11 inches by 11.8 inches). Click here to find out the current price of the NESCO VS-02 Food Vacuum Sealing System. This is another amazing vacuum sealer from FoodSaver that is perfect for anyone who shops for food in bulk. With the FoodSaver Vacuum Sealer 4800 Series, you are guaranteed value for money. Just like other FoodSaver vacuums, it has plenty to offer. Being 2-in-1, it can be used as a conventional vacuum sealer or as a handheld one. 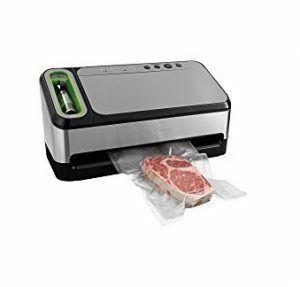 As a conventional vacuum sealer, it has an automatic bag detection and vacuum feature. When it comes to marinating food, what used to take you hours will now get done in minutes. It also has an inbuilt, retractable handheld sealer that will help you vacuum-seal zipper bags, canisters, containers. This eliminates the need for other accessories. Just as using this vacuum sealer is easy; cleaning is also a walk in the park. If you seal moist food often, don’t worry about your counters getting messy. Just pull out the removable dishwasher-safe drip tray and empty the collected liquid. Lastly, you get a starter kit that has three 1-quart zipper vacuum seal bags, three 1-quart vacuum seal bags, a vacuum seal roll (11 inches by 10 feet), two 1-gallon vacuum seal bags, two 1-gallon zipper vacuum seal bags. Click here to see the current price of the FoodSaver Vacuum Sealer 4800 Series. The Weston Pro-2300 has enough quality to warrant a place in any top 10 best vacuum sealer ranking. Not only does it have awesome features, but it is also quite effective and easy to use. Buy it and say goodbye to the days of wasting food, or going back and forth to the store to get supplies. You can buy food in bulk, use the Pro-2300 vacuum sealer and sit back and relax for quite a long period. It is very easy to use, with an Automatic Mode which has a simple one-touch vacuum-to-seal operation. Despite the fact that this vacuum sealer is commercial-grade, it can also be used at home. It only means that you get a very effective vacuum sealer to take your results to the next level. It goes without saying that this sealer would also be a perfect fit for fishermen and hunters alike. You can use the Pro-2300 for sous vide cooking. Also, when it comes to marinating food, what used to take you hours will be completed in minutes. The capacity of this vacuum sealer is also quite outstanding. A powerful, 935 Watts, double-piston pump seal bar draws up to 28′ Hg vacuum strength to get the job done very fast. A manual mode allows you to set the vacuum pressure, in case you are dealing with soft or delicate food. While at it, a fan-cooled motor ensures that you can seal continuously, unlike in other sealers where you have to take cooling breaks. Also, the seal bar is extra-long, meaning that you can vacuum-seal bags up to 15 inches wide. Click here to see the current price of the Weston Pro-2300 Vacuum Sealer. Yet another FoodSaver vacuum sealer. In fact, we had to really struggle to select the best from this magnificent brand. The last FoodSaver vacuum sealer in our review is the FM24350ECR. It also has some amazing features that will help you get the job done fast and easily. Vacuum sealing with the FM24350ECR will ensure that your food stays up to 5 times longer in the fridge and up to two times longer in the pantry. This should give you enough reason to get it and avoid throwing spoiled food in the trash can, or buying food in small portions over and over again. This vacuum sealer has a very wide sealing strip that allows you to vacuum-seal large quantities of food at a go. The heat applied ensures that the seal is extra-secure and airtight. Once you place the bag at the open end of the sealing channel, simply press the vacuum and seal button, and the rest is automatically taken care of. This food sealer also comes with a starter kit that includes a handheld sealer for convenient sealing of zipper bags, containers, and canisters. Also included in the starter kit are three 1-quart pre-cut heat seal bags, two 1-gallon pre-cut heat seal bags, three 1-quart vacuum zipper bags, two 1-gallon vacuum zipper bags and one heat seal roll (11 inches by 10 feet). Click here to see the current price of the FoodSaver FM24350ECR. Unlike most vacuum sealers, the Crenova VS100S is built to last for a very long time, thanks to its stainless steel construction. This design also helps make cleaning up after usage quite easy. You just need a wipe it using a piece of cloth. 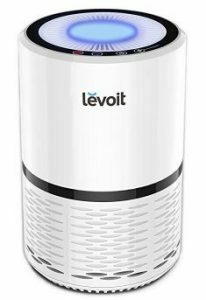 This is the perfect assistant for sous vide cooking since it ensures that the trace elements, nutrients, and vitamins are retained. Also, vegetables retain their color while remaining crisp. Vacuum sealing is easy; you just need to place the open end of the bag into vacuum channel, stretch it until it is flat. Then, select the preferred function (vacuum or seal). Interestingly, either function can be done separately to avoid crushing delicate foods which only need sealing. The Crenova VS100S comes with a starter kit that includes five vacuum seal bags (22cm by 30cm) and five vacuum seal bags (22cm by 10cm) so that you can start vacuum sealing immediately. Apart from food storage, the vacuum sealer is also suitable for other household items such as documents. Suitable for other items e.g. documents. Click here to find out the current price of the Crenova VS100S vacuum sealer. Our final piece in the top 10 best vacuum sealer reviews is the Gourmia GVS435. The fact that it is listed as no.10 should in no way make you think that it is inferior. All the sealers we have selected in this article are great and should serve you well. Unfortunately, we could not list them all as number one. This vacuum sealer works perfectly when it comes to sous vide cooking, where it will be useful for preparing vacuum-sealed pouches. The GVS435 has a vacuum marinator bowl, canister as well as wine stopper compatibility. Not only can you go fully automatic but you can also go fully manual. There are also other functions depending on what you want to package and store. These include pulse, dry/moist, and gentle or normal pressure. The Gourmia GVS435 also has a starter kit that includes a removable bag cutter and a bonus roll of vacuum bags. Click here to find out the current price of the Gourmia GVS435 Vacuum Sealer. The best way to store food for a long time, whether in a fridge or in the pantry, is to first vacuum seal it. This way, air is sucked out of the plastic bag. Without oxygen, bacteria, fungi, and any other disease-causing germs cannot thrive. Most vacuum food sealers will extend the shelf-life of food by about 2 times in the pantry and 5 times in the fridge. If you get any of those reviewed here, I’m sure you are going to love it. Vacuum sealing will help you buy food in bulk, store it for a long time and avoid wastage and over-spending. If you have any feedback for us, feel free to leave a comment in the section below. One thing is for sure, whenever you place meat on your outdoor grill for a good time with family and friends, you are guaranteed of disease-free meal.